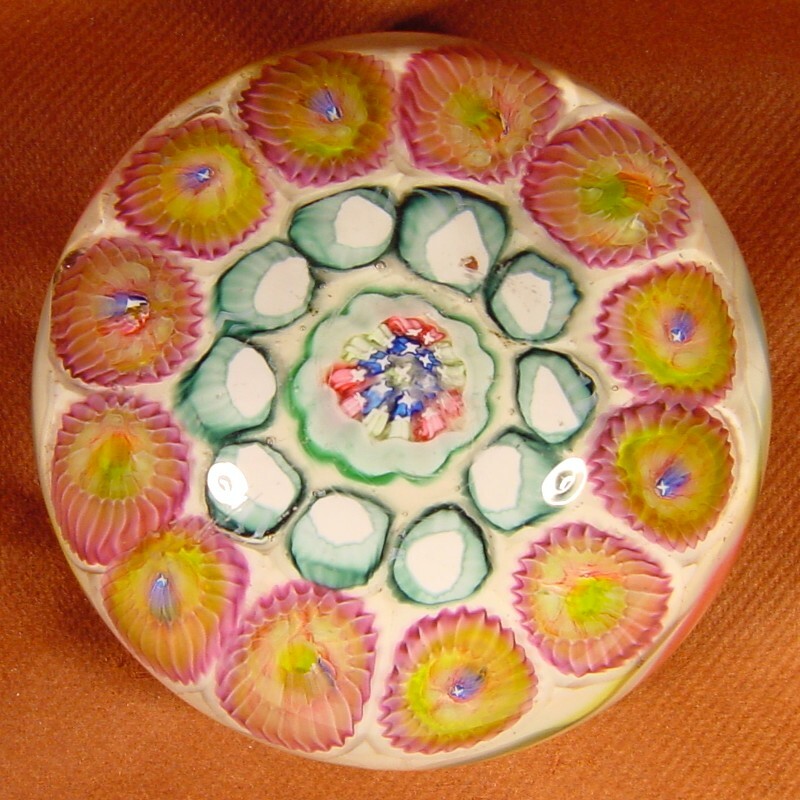 Antique magnum Val Saint Lambert millefiori paperweight. Setup with a large central complex millefiori, one row of green-white millefiori and an outer row of super large cog-canes on a "sodden snow" ground. A three color and white torsade surrounds the white ground. Hollow polished pontil and typical base groove. Size : 98mm Diameter, 66mm High, Weight : 1130 grams.